You Can Curtail and Even Stop Drinking Too Much, Start Today! • Are you having a hard time staying away from drink? • Do you often feel guilty everytime you drink? • Do you feel physically rundown because you are drinking too much? • Do You want to learn how to gain control over it? • Are you truly ready to? If you have truly made the commitment to lead a drink-free lifestyle. this subliminal program is for you. This program can help you improve your motivation to stay sober. 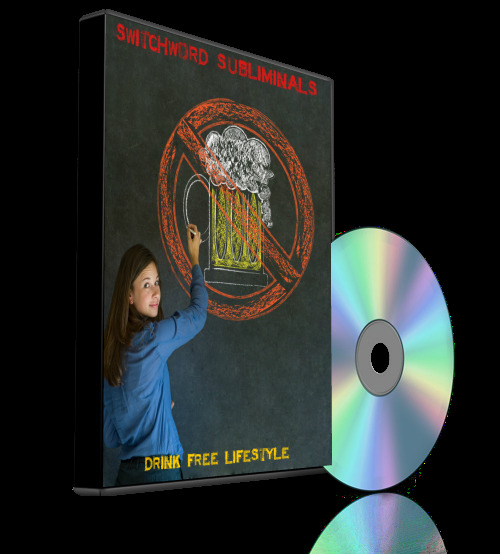 The Switchwords in this program will penetrate your subconscious mind and will start working right away. Help you get clear about sobriety. Help you develop good healthy thoughts around drinking.. When you feel you are about to make a choice that isn’t aligned with your life, you can pop in the audio or watch the video and you will be back on track. This program contains a Subliminal Audio Track (20 minutes) (MP3 FORMAT) and a Subliminal Video (10 minutes) (MP4 FORMAT) , This program will also include a PDF insert explaining how to use this program and the Switchwords that are being used. And always remember, you have 90 days to evaluate the program. If you dont like it, just ask for a full refund, no questions asked.